FeastHome – Looking for the perfect inspiration for decorating your kitchen? If you do, then you are at the right place. Decorating your kitchen is arguably the surest way of enjoying the experience of owning a home and at the same time it improves the overall image of your home. There are numerous themes that will inspire you to conduct a decorating exercise on your kitchen and your choice will be influenced by various factors. Among the factors that will determine the type of theme you settle for and they include, your tastes and preferences, the kitchen layout you want to achieve, budget and the kitchen space. Now that you have put the important factors into consideration and decided on what you want, it is time to embark on decorating the kitchen. By choosing the appropriate themes, you stand a great chance creating a huge visual effect that will positively impact on its image and the experience you enjoy there. Without further ado, let us get straight to the various themes you can adopt. Most kitchen owners store their kitchen utilities in drawers or on top of the kitchen counters. This form of storage encourages disorganization which makes it difficult to retrieve kitchenware thus a horrible kitchen experience. To change this, you should consider building open shelves. These shelves help in creation of more storage room and also provide an opportunity for you to arrange your kitchenware in an organized manner. More to that, the fact that you will enjoy an organized arrangement will go a long way in ensuring you enhance the kitchen image. To include a touch of beauty on the open shelves, you can apply bright colours which match with the colours that you have applied on the wall. 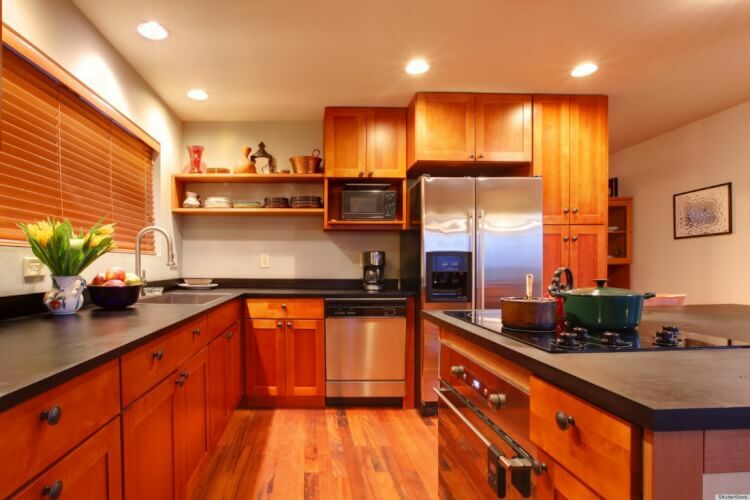 A clean and tidy kitchen will have a huge effect on the decor as it will improve its vibrancy. In addition, cleaning your kitchen regularly will greatly inspire you to spend more time in the kitchen and at the same time ensure that the decorations in the kitchen last longer. To conduct a proper cleaning exercise, you should acquire the necessary cleaning agents. Moreover, the cleaning agents should not affect the kitchen surfaces negatively. Ensure that you thoroughly clean the kitchen floor to remove any stains. After all, the floor is an important contributor towards the image of your kitchen. More to that, avoid accumulating dirty utensils as it will affect your morale of working in the kitchen and at the same time make it difficult to clean the kitchenware. The shelves should also be dusted regularly to eliminate any dust particles that could contaminate your food. Apart from dusting and washing, cleaning also entails proper organization. Organize the furniture in the kitchen in an orderly way that creates space to give the room a welcoming allure. Furthermore, arrange the storage containers on the shelves in an appealing manner which will also support easy retrieval. How does the kitchen in your favourite cafe look like? Applying the cafe style in your kitchen allows you to replicate the mood you experience in your favourite cafe at home. To achieve the cafe style look, you simply need to come up with creative ideas that will enable you to achieve the style you desire. For instance, you can acquire pots or containers that enable you to display plants or magazines in the kitchen. In addition, you may also adopt cafe style windows which will introduce a unique aspect to the kitchen. These windows also ensure that you receive enough light in the kitchen without compromising on privacy. The cafe style is all about creating a kitchen environment where you can host family and friends and enjoy the feeling of being in a friendly café. You certainly do not have to copy a certain theme and replicate it on your kitchen. Instead, themes could act as a guide to help you conceptualise your idea. Creating a unique kitchen image will be influenced by your creativity levels and this will help you attain a kitchen that satisfies all your requirements. For example, you can apply the colour combination of your choice in a style that befits your standards and aspirations. 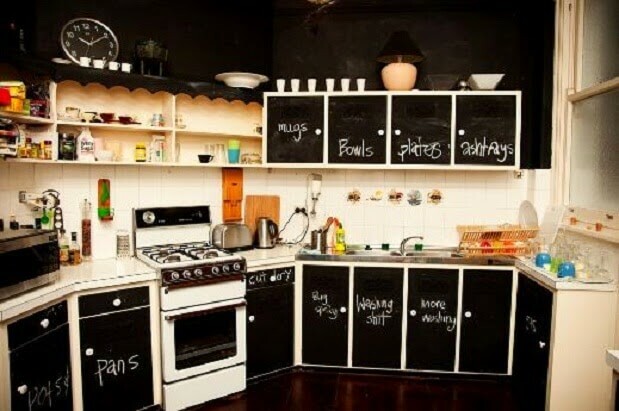 In addition, you can also customize your shelves and add pieces of art to decorate the kitchen. Besides that, you can come up with your own arrangement style that will improve convenience and efficiency in your kitchen. Therefore, make sure you adopt the style you want in order to get that will ensure you enjoy every moment of being in your kitchen. 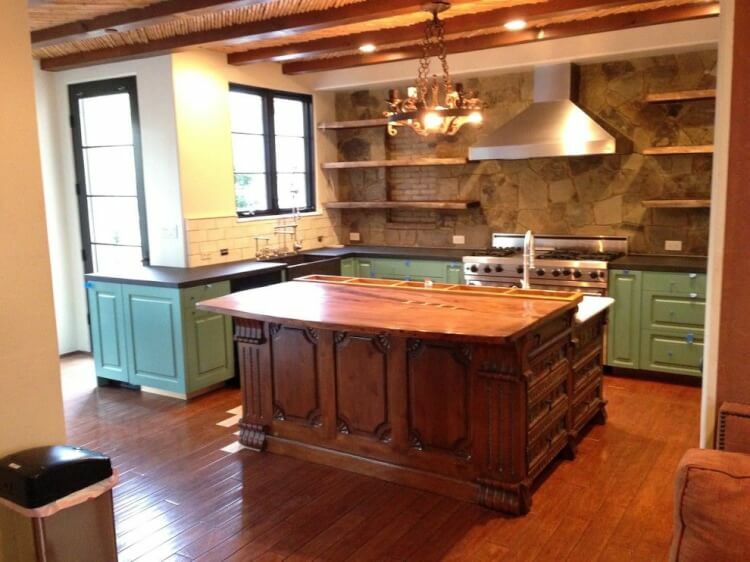 Finding the ideal kitchen theme is not limited to certain types of kitchens. It is important that you choose the type of theme you want to apply wisely. This will ensure that you avoid regrettable mistakes that may affect the way you maintain your kitchen. Now that you have an idea on the types of themes and how you can apply them, you only need to add your creative nature to create that appealing look that will make your kitchen the envy of your guests!